Are you inferring to me?! Why that recent De Niro incident is no big deal. Hollywood press junkets are an exercise in unctuous PR, something veteran journalist Emma Brockes fully understands. 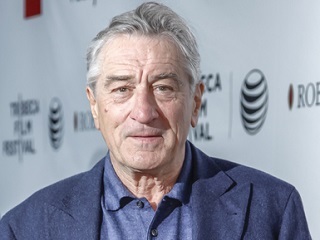 Brockes said she was astonished at the actor’s reaction, and “felt sympathy” for De Niro, who had sat through a long day of multiple interviews with members of the foreign press, as is commonplace when promoting a Hollywood film. The journalist admits she “lost her cool”, telling De Niro: “I think you’re very condescending.” “Oh, you think ‘darling’ is condescending?” said the actor, before the interview was ended. We can’t agree with Piers Morgan, who writes in his latest Daily Mail column that “it’s as if De Niro prides himself on being a total douchebag” and calls for journalists to boycott future interview opportunities with the actor. Nor can we entirely agree with Lou Lumenick’s tweet from earlier today; Brockes’ question about the gentrification of Tribeca – while yes, a bit off the beaten junket path – did not breach the junket culture. That happened subsequently, with De Niro leading the way. The bottom line: Unlike Harrison Ford and Russell Crowe, who have mellowed considerably in recent years, De Niro still seems to have little patience for the Hollywood PR process. Moving forward, perhaps the actor should limit his movie promotion appearances to The Tonight Show and an interviewer he always seems happy to sit down with.